But ultimately as a game designer, what I see from Brawl Stars is an amazing game that is weakened by a poorly designed gacha system. It fails to deliver on what a gacha system needs to do, and it will ultimately not last in its current incarnation. 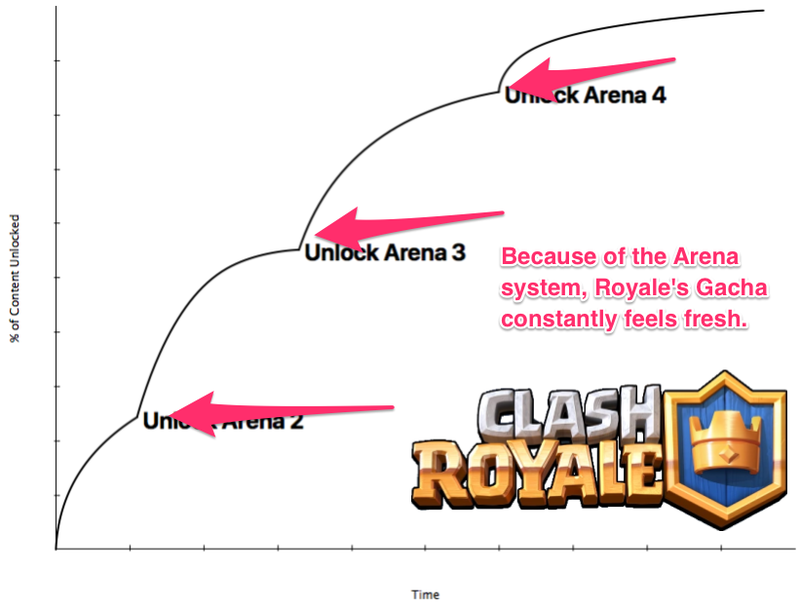 Comparing the system to Clash Royale, Brawl Stars system is considerably weaker and will result in lower revenue on a per player basis. Even if Supercell can drive downloads organically, this will hold it back from where it could be. On top of this, because they were able to launch with this much content, each interaction with the gacha system felt novel and interesting, especially between arena tiers. So playing through arena 1, each time you opened up a gacha chest you typically got new cards. Each time you levelled up to a new tier, you were introduced to a whole new set of cards, all of a sudden the gacha got way more exciting to open (even inciting purchases like the limited offer for each tier!). As a result, each time I have purchased gacha packs from Brawl Stars I’ve felt completely regretful. 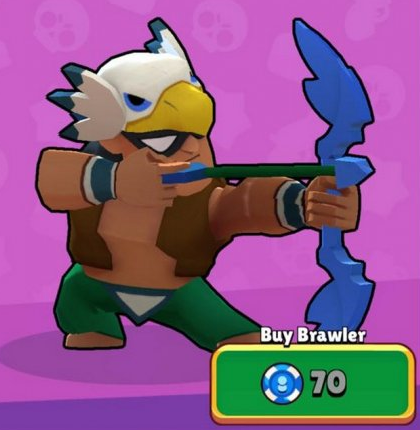 After I unlocked a majority of the characters, each chest has a high probability of dropping a single blue chip over unlocking a new character or gaining some elixir (the currency necessary to upgrade your characters). Having a string of gacha packs that just give out blue chips, especially if you’ve unlocked all the content, would surely cause many players to churn. Even thinking about maximising a single legendary card can show you that it takes a lot of drops. 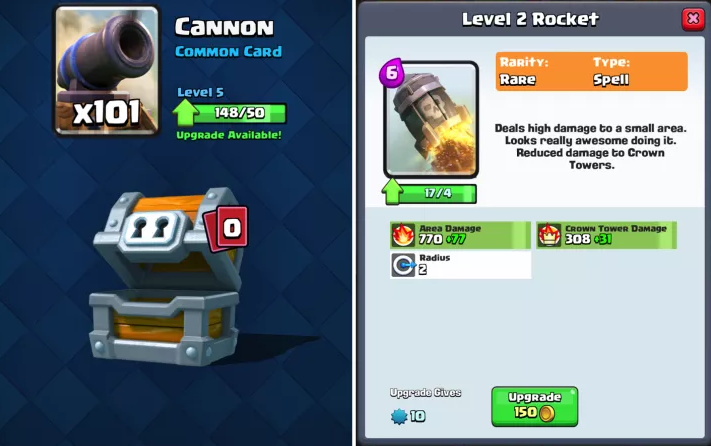 It’s reported that Supercell drops 1 legendary card 0.43% of the time in their gold level chests. If we use this as a base, and a pool of 6 legendary cards, that leaves the % of dropping your chosen legendary to be 0.0716%. In order to upgrade this card fully, you need 37 drops of this card. So, on average, a player will need over 50,000 drops before their single legendary card is fully upgraded. That’s a system that LASTS. 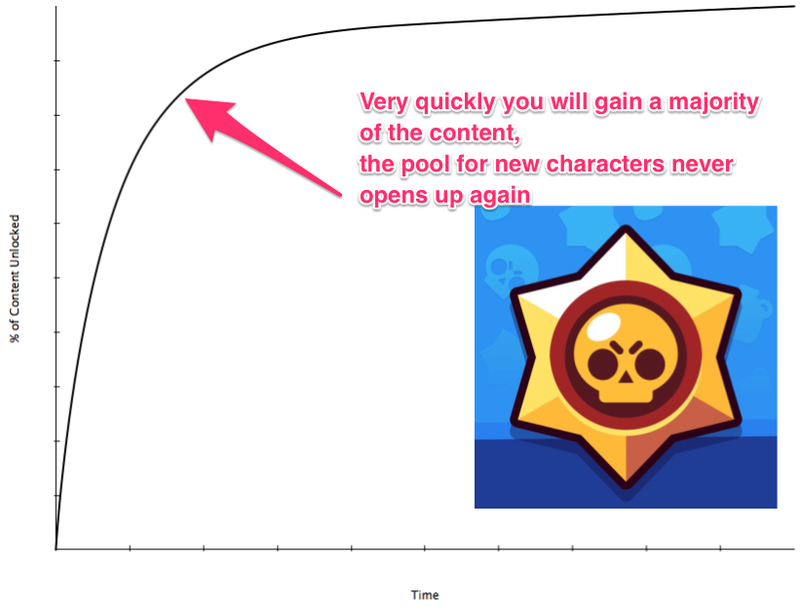 So for Brawl Stars to utilise its minimal content better, it needs to think about duplicate mechanics similar to Clash Royale. Potentially duplicates increase the max upgrade level of a character. Potentially duplicates unlock new special abilities. Without it, players will simply lose interest in the gacha, or feel as though the high price tag to purchase chests are just not worth it. With Brawl Stars, because of the low level of content and the fact that duplicates aren’t necessary, this left Supercell designers in a bind. They had to pace their gacha significantly slower. They did this by tying chests to coins, and by making chests only give 1 drop each. 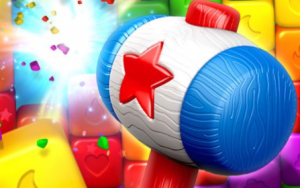 Comparing this to the experience of opening a chest in Clash Royale, Brawl Star’s gacha boxes are far less rewarding. The reward pops up, you get a single currency of something, and then you’re left feeling — “That’s it?”. This problem is magnified when each drop can be amazing or terrible feeling. If I get a new character or some elixir — this feels good. If I get a blue chip… I feel like all the time I put into collecting coins for that box was worthless. Improvements could come with more content, it could come from better pacing of the gacha, but driving more sustainable drops likely will need to come from a better mechanic for duplicates to avoid a content treadmill. 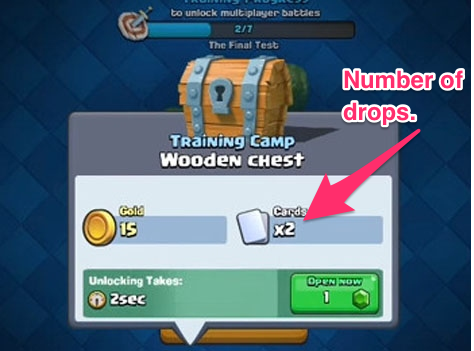 Taking a page from Clash Royale’s system and finding a way to make duplicates a key part of reaching the end of content for its gacha mechanics. Doing so will exponentially increase the lifetime of their gacha systems, plus drive stronger retention and monetization from their user base.